I lived in Singapore for just shy of 9 years. As a nation it’s an amazing melting pot of cultures. As a result, while English is the primary national language, all students must learn a secondary language – with only three options: Mandarin (Chinese), Tamil (Indian) or Malay. The result of this multilingualism is of a whole new language called ‘Singlish.’ Singlish is a fun mesh-together of all of the above languages. It has English as the ‘base’ language – but then has words and humorous phrases from those other lauguages thrown in – plus a few Chinese dialects. This home-grown ‘street language’ has come about within popular culture, and it’s fun! I don’t believe all New Zealanders need to learn to speak fluent Te Reo. However, I do believe that an attempt to learn a is an appropriate bicultural respect, and also that a ‘mesh language’ like Singlish is likely to continue to develop within our culture. This will be another part of what it is to be a New Zealander – no different to our accent, which is already distinctive around the world. . 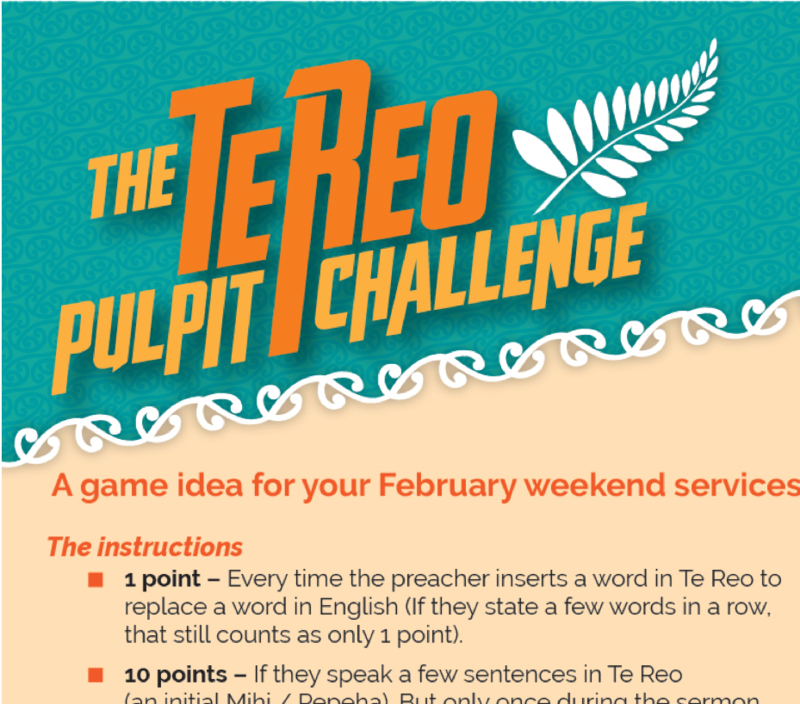 While there is already a sincere interest in local churches nationally to learn Te Reo (so churches can run Te Reo Language courses), the easiest idea I can think of that might help to esteem this value to the masses is to make it into a game. Timed for Waitangi – it could be fun. 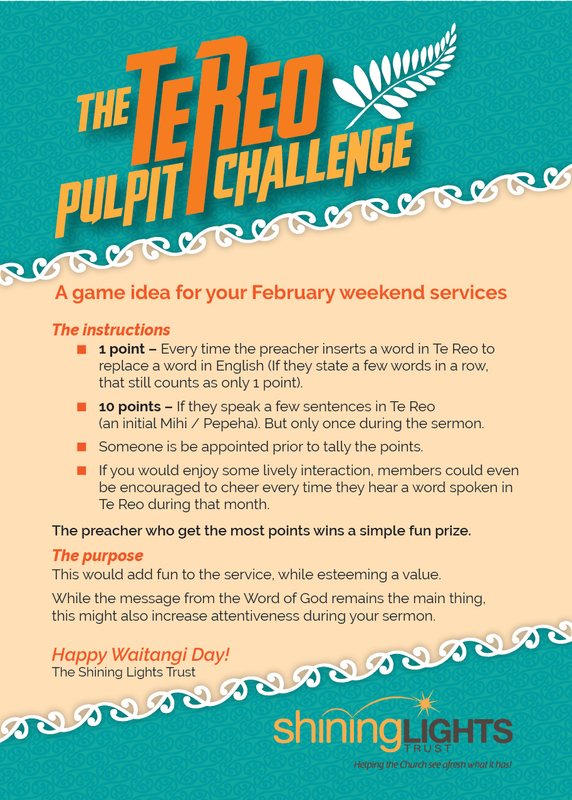 The download “Te Reo Challebnge” flyer below explains it (the above picture is a crop of the top of the flyer). 5 self-print booklets for churches called ‘Now and then’ – about outreach and our early bicultural story, to give to church members with the bulletin over a 5 week period here (These booklet also encourager support of the Hope Project – which takes some of these stories to the public square). DAVE MANN. 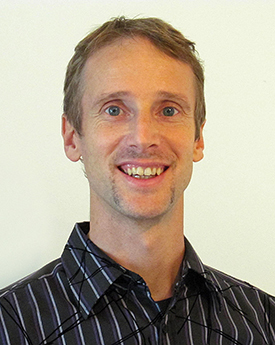 Dave is a creative communicator with a vision to see an understanding of the Christian faith continuing, and also being valued, in the public square in Aotearoa-New Zealand. He has innovated numerous conversational resources for churches, and is currently coordinated a 5th nationwide multimedia project purposed to help open conversation between church and non-church people about Christianity and the way our nation’s most treasured values have come from it. 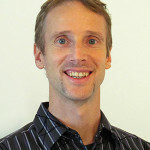 Dave is the author of various books and booklets including “Because we care”, “That Leaders might last”, “The Elephant in the Room”, and available for free on this site: “The What and How of Youth and Young Adult ministry”.